The Milwaukee<sup></sup> WorkSkin Cold Weather Base Layer is constructed to handle the demands of hard work in cold conditions. Fast Wicking Sweat Zones underneath the arms and across the upper back move moisture away from the body quickly in high-sweat areas to avoid dampness, cold, and freezing. Durable, long-lasting fabric used in other areas provides more insulation while resisting pilling and fighting odour to extend product life. When worn next-to-skin and under outer layers, WorkSkin manages moisture and body temperature to help tradesmen work dry, stay warm, and stay comfortable in the cold. 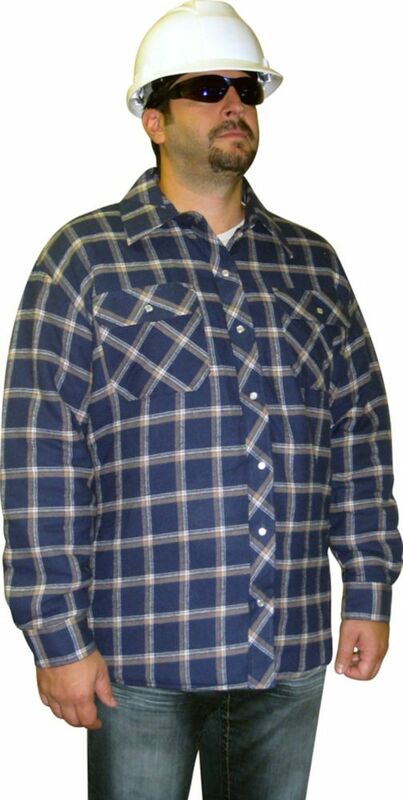 Lined Quilted Plaid Shirt 2XLarge The Storm Fighter quilted flannel shirt is a great layering piece during brisk spring or fall days. This quilted flannel shirt will keep you warm during your project on it's own or as a layering piece. Includes a snap front closure, two chest pockets, and snap closure sleeve cuffs.